Some 10 million gallons of oil were spilled into the pristine waters of Prince William Sound by the Exxon Valdez, and 210 million gallons (2.4 million gallons a day) leaked into the Gulf of Mexico by British Petroleum. But those disasters were just a fraction of the amount of oil that was poured into the seas during WW II by sinking ships and downed aircraft. And many of those old wrecks are still leaking oil to this day. 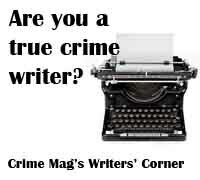 There are crimes on the high seas, and then there are crimes against the high seas. The greatest crime ever committed against the world’s oceans was not the incompetence that caused to the 1989 Exxon Valdez oil spill, or the neglect that led to the 2010 Gulf Oil Spill, but the intentional sinking of thousands of ships – including more than 750 oil tankers – during World War II. Some 10 million gallons of oil were spilled into the pristine waters of Prince William Sound by the Exxon Valdez, and 210 million gallons (2.4 million gallons a day) leaked into the Gulf. But those disasters were just a fraction of the amount of oil that was poured into the seas during WW II by sinking ships and downed aircraft. And many of those old wrecks are still leaking oil to this day. During the war, oil tankers were prime targets for both sides of the conflict. The International Maritime Organization estimates that more than 3,000 ships were sunk in the North Atlantic alone. Of those, more than 450 were oil tankers. Another 300 oil tankers were sunk in the Pacific Ocean during the war. Oil tankers were smaller then, but combined, those sunken tankers went down with some 2 billion gallons of oil and fuel on board – or about 10 Gulf Oil Spills. And that’s just from oil tankers sunk during the war. On December 1, 1941 – six days before the attack on Pearl Harbor, a German U-boat sank the SS Astral, an aging American tanker, off the coast of Portugal, spilling and burning 3.3 million gallons of gasoline and kerosene into the Atlantic Ocean. The spillage of fuel by this one old tanker was equal to about a third of oil spilled by the Exxon Valdez, and more than a day’s worth of spillage from the Deepwater Horizon – and the war in the Pacific hadn’t even started. The USS Arizona, which was sunk at Pearl Harbor by Japanese fighters on December 7, 1941, went down with more than 1 million gallons of fuel oil onboard. Nearly 70 years later it is still leaking about two gallons of oil a day – and it was only one of 18 American ships that were sunk that fateful day. The very first ship sunk on the East Coast of the United States during the war was an oil tanker – the Norwegian tanker Norness, which was sunk by a German U-boat on January 14, 1942, off the eastern tip of Long Island. It was carrying 4.5 million gallons of heavy fuel oil – an amount of oil equal to about half the oil spilled by the Exxon Valdez. The next day, a German submarine sank the British oil tanker Coimbra off the coast of Long Island, spilling more than a million gallons of lubricating oil into the Atlantic. Resting in 180 feet of water, the wreck still poses an environmental danger. According to the North American Marine Environment Protection Association, more than 3 million gallons of oil remain onboard the Coimbra in eight rusting cargo tanks, waiting to leak into the ocean. On December 23, 1941 – only 16 days after the attack on Pearl Harbor – a Japanese submarine sank an American oil tanker named the Montebello off the scenic coast of San Simeon in Central California, not far offshore from William Randolph Heart’s famed castle. The 440-foot Union Oil tanker, which went down in 900 feet of water, was loaded with 3.5 million gallons of crude oil. The San Francisco Chronicle reported that the ship’s rusting holds still contain hundreds of thousands of gallons of oil, and still poses an environmental threat nearly 70 years later. Two American ships that survived the first day of the war in the Pacific – the USS Neosho and the USS Lexington – were sunk six months later near Australia’s Great Barrier Reef during the Battle of the Corral Sea. The Neosho, a 7,470-ton oil tanker, had been docked on “Battleship Row” when the Japanese attacked Pearl Harbor, but escaped with only minor damage. The Lexington, an early American aircraft carrier, was at sea and escaped unscathed when Pearl Harbor was attacked. 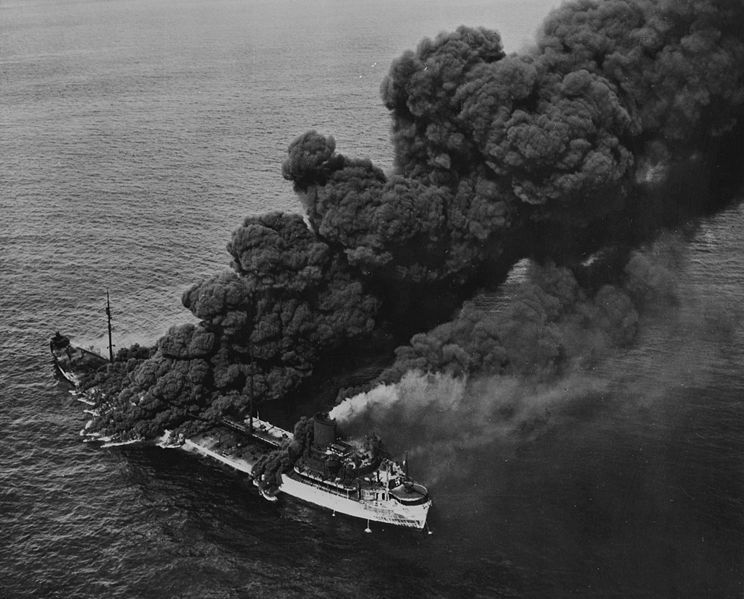 When the Neosho and the Lexington were sunk in May 1942, they went to the bottom of the sea spilling an estimated 5 million gallons of oil into the Pacific Ocean – an amount of oil that gushed out of the Gulf Oil Spill in two days. In 1942, a German submarine sank the American oil tanker The SS William Rockefeller, which spilled 5.6 million gallons of bunker “C” fuel oil into the Atlantic Ocean – about half the oil spilled by the Exxon Valdez, and two days’ worth of oil from the Gulf Oil Spill. In total, nearly 100 U.S. oil tankers were sunk during the war – spilling oil equal to about two or three Gulf Oil Spills. American submarines, meanwhile, sank 110 Japanese tankers during the war, equal to another two or three Gulf Oil Spills. More than 50 Japanese ships were sunk in the Chuuck Lagoon in Micronesia alone. Three of those ships – the Hoyo Maru, the Shinkoku and the Fujisan Maru – were oil tankers that sank with millions of gallons of oil on board, and they are still leaking oil to this day. England lost 29 oil tankers in the Atlantic during the war – losing an amount of oil equal to about one Gulf Oil Spill. Dozens of German, Italian, Russian and Dutch tankers were also sunk, and for years after the war, tons of black tar continued to wash up on the beaches of Europe and the Pacific islands. Nearly 2,000 major warships – battleships, aircraft carriers, submarines, destroyers, cruisers, frigates and escorts – were also sunk during the war, and each spilled tens of thousands of gallons of oil into the oceans. One U.S. submarine alone, the USS Scamp, sank in 1944 with 77,000 gallons of fuel on board. Germany lost 746 submarines, each gushing tens of thousands of gallons of oil into the sea. Thousands more merchant ships were also sunk. U.S. submarines alone sank 1,300 Japanese merchant ships. Hundreds of thousands of sailors were killed when their ships were sunk during the war; many died from ingesting oil or inhaling spilled fuel. Tens of thousands of Japanese, American, British and German airplanes also crashed into the seas during the war, spilling out millions more gallons of fuel and oil. But the worst ecological disaster to hit the oceans during World War II was saved for last – when the United States dropped atom bombs on the port cities of Hiroshima and Nagasaki, millions of tons of radioactive fallout rained down into the surrounding sea.